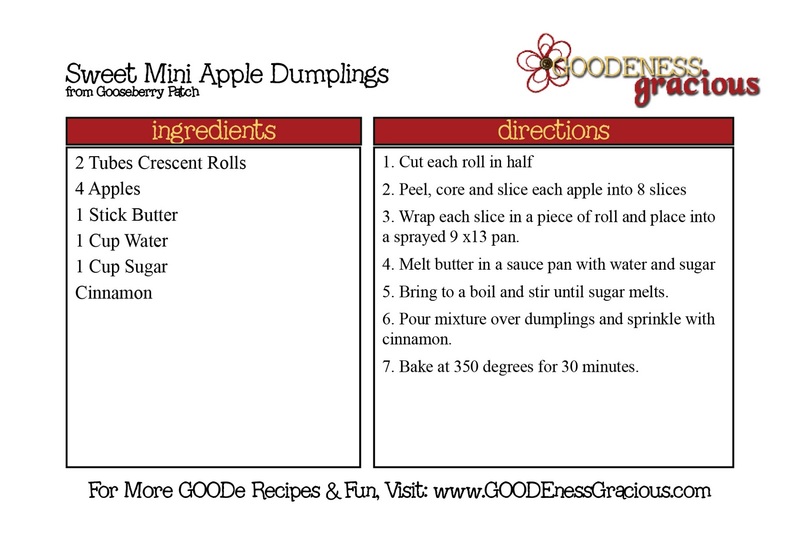 This is a breakfast/dessert treat that is a perfect use of those apple orchard apples and makes your kitchen smell amazin’! You take each roll and cut ‘er it in half. And peel ’em with my coolest-new-fun cooking gadget: a Copco peeler with swivel blade…swoon! How have I missed this company? They have the niftiest gadgets… and perhaps I have been peeling with a dull peeler all these years, but this dude peeled up these apples super quick. I then cored and sliced ’em up. Now set ’em aside while you cook up a lovely mixture. So I have a question for you oh guru of the kitchen. If I peeled and cored my apples in sugar and cinnamon, could I freeze them just like that? Saw it on TV today while the were making frozen pies. It would be the apples without the pie crust. Just wonderin'????? YUM! Those sound absolutely delicious. I wonder if the smaller size would keep me from eating too much dessert…I doubt it. These taste MUCH MUCH better if you use brown sugar instead. Sprinkle the cinnamon on your apple wedges when you roll them up and add a dash to the brown sugar and water as well.